The Scientific and Technological Research Council of Turkey (TUBITAK) is the leading agency for management, funding and conduct of research in Turkey. It was established in 1963 with a mission to advance science and technology, conduct research and support Turkish researchers. The Council is an affiliated institution for Ministry of Science, Industry and Technology and is governed by a Scientific Board whose members areselected from prominent scholars from universities, industry and research institutions. TUBITAK is responsible for promoting, developing, organizing, conducting and coordinating research and development in line with national targets and priorities. In addition, TUBITAK carries out and monitors international scientific and technological collaboration activities with the rest of the world through Directorate for International Cooperation. The Pakistan Science Foundation (PSF) is the apex body for the promotion and popularization in the country. Pakistan Science Foundation through its various national and international programs has been serving the scientific community since 1973. PSF has the mandate to liaise with similar international bodies across the globe and is in active collaboration with many similar International bodies. The Foundation functions as an agency for the establishment of comprehensive scientific and technological information dissemination centers, promotion of research in the universities and other institutions, having bearing on socio economic development establishment of science centers, museums, promotion of scientific societies, organization of periodical science conferences, exchange of visits of scientists with other countries, prizes and fellowships to individuals engaged in developing processes of consequence to the economy of the country. The aim of the call is to allow partners to collaborate bilaterally, and gain access to new research environments, facilities, knowledge, and expertise, in order to enhance the quality of their research and enable them to translate research and innovation into economic and societal benefit. The funding will be provided jointly by TÜBITAK and PSF in the form of non-repayable project grants. TUBITAK and PSF are intending to fund 10 projects through this joint call . As a rule, Turkish academy partners that are eligible for funding can receive up to 360,000 Turkish Liras (˜80,000 EURO)of funding in total. The Pakistani partners that are eligible for funding can receive up to 6,000,000 Pakistani Rupee(˜48,000 EURO) per project. TÜBITAK -funded costs of each grant will be issued and managed by TÜBITAK in accordance with its funding guidelines and procedures. Similarly, PSF-funded costs of each grant will be issued and managed by PSF according to its funding guidelines and procedures (see Annex Iof this Joint Call). Please liaise closely with prospective partners to ensure that both TÜBITAK and PSF -supported elements of the proposal abide by all regulations for both funders. The duration of the projects will be up to 24 months.The projects will be monitored through progress reports and the final report by both PSF and TUBITAK for its content and progress. The continuation of funding will be decided on the basis of this evaluation with reference to innovative insights, exploitable research results and the creation of foundations for a well-founded and sustainable partnership between Pakistan and Turkey. The Joint Call will be opened between 01/11/2017-12/02/2018 for the applicants on both sides for the online applications.Turkish applicants will make their joint application online via TUBITAK’s online system reachable from uidb-pbs.tubitak.gov.tr. Pakistani applicants are required to email the complete set of application (in one single file) to director international Liaison on director.psf@gmail.com. It is a prerequisite that projects include the participation of at least one Pakistani and one Turkish research institution/university. On the Pakistaniside,PSF will cover the costs of Pakistaniscientists as described in Annex I.
Turkish applicants will make their application online via TUBITAK’s online system reachable from uidb-pbs.tubitak.gov.tr, while Pakistani applicants will submit through email and hard copy on the following address. However, to complete the application process PSF and TUBITAK might need supporting documents. The Turkish applicants -as having finalized the online application- are expected to send the printed documents need to be signed by relevant sides and supporting documents within two weeks after the deadline of the call. Applicants who do not provide the required documents will directly be rejected for evaluation and could not apply to this call in the same call period. 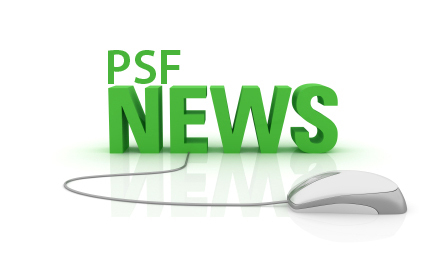 Submission criteria is available on website of PSF – www.psf.gov.pk. Projects that are submitted online but that do not submit their supporting documents and the necessary documents with original signature will not be considered for funding. The proposals that are found eligible for evaluationwill be reviewed by external reviewers, which are selected by TUBITAK and PSF.The projects to be funded will be decided on a Joint Committee Meeting in which both institutions will be present according to the evaluations of the reviewers. In total, it is expected to support 10 joint projectshowever both institutions might agree about fundingmore number of project proposals that have been evaluated and ranked excellent but it depends on the availability of fundson both sides.